Images create more engagement than any other content on social media platforms; people love to share, like and comment on images on just about any topic you can imagine. Sharing images is not a new phenomenon, people have sharing images since ancient times via cave drawings, now advances in mobile technology make it possible to capture, upload and share images and video very easily, even whilst on the move. Instagram and Pinterest are among the fastest growing social media platforms ever. Launched in November 2010, Instagram reached 100 million users by April 2013 - that figure has officially risen to 130 million users in the last 3 months. With the recent addition of video functionality, the user numbers are set to sore once again. Also launched in 2010, Pinterest boasts some 70 million users and the figure is growing substantially every month. Both platforms offer great marketing opportunities for all kinds of businesses and the August New Media Breakfast will examine both and explore how their functionality can be used to raise awareness and create engagement for your brand. 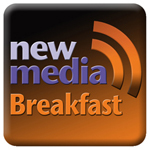 The August New Media Breakfast will be presented by Gordon White, Managing Director, fatBuzz Ltd.